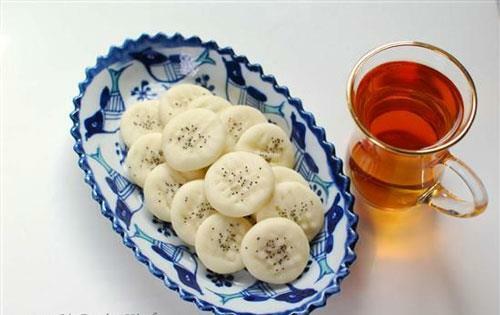 The cookies are usually made by Iranian women ahead of Nowurz to be served along with other main elements of the Haft Seen table. 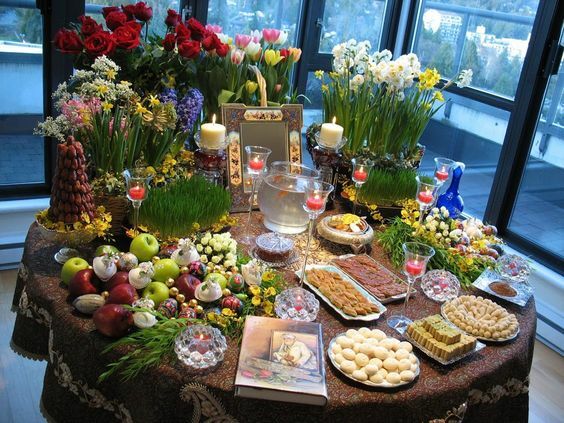 Iranians eat the cookies in the early minutes of the new Persian New Year to have a sweet taste in their mouth. People in each part of Iran make their own unique cookies. In Tehran at least four types of cookies are made and served during Nowruz. These cookies are made in small and thumbnail sizes. 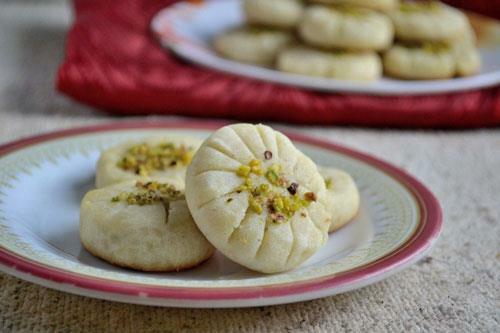 Chickpea Cookie: Made of chickpea, the cookie is usually in circle or four-petal flower shapes and garnished by pistachio slices. Rice Cookie: Made of cooked rice flour, the cookie is in circle or other small shapes like moon and star and garnished by pistachio slices. 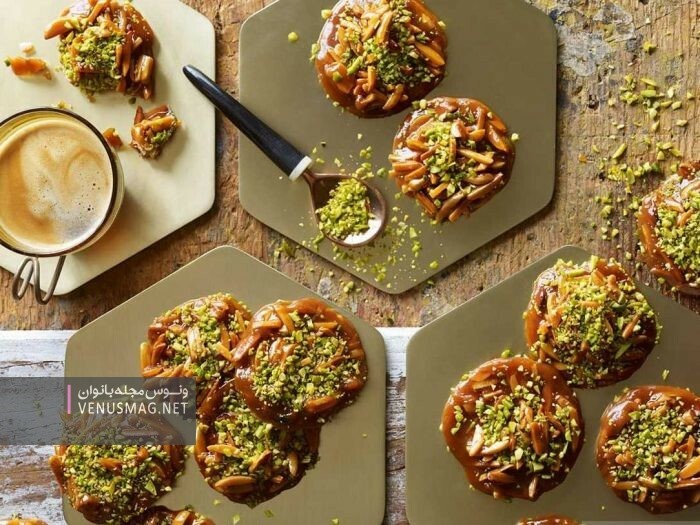 Sohan Asali: The sweet is made of honey and vegetable oil and filled with almond slices. Walnut Cookie: It is made of flour or chickpea powder and filled with walnut slices. 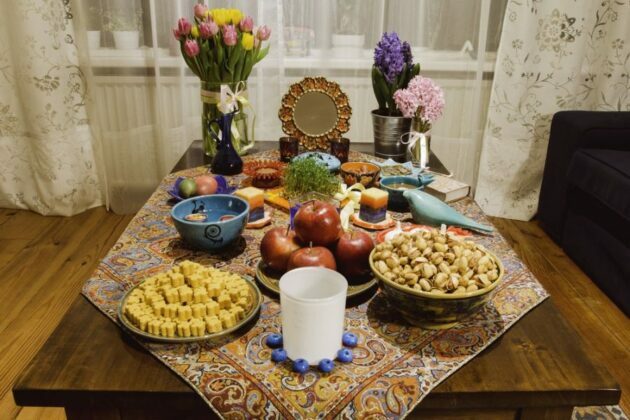 The cookie is usually served in one or separate dishes on the Haft-Seen Table.